If you’re planning a trip to LEGOLAND, you’re in for a treat! We visited LEGOLAND California twice in the same year because our LEGO loving son loved it so much. The rest of us are not quite as excited about LEGOS, but we all had a lot of fun at this colorful and innovative theme park near San Diego, California. Wondering what you need to know to make your trip to LEGOLAND awesome? Here you go. My 6-year-old son was passionate about LEGOS and my 8-year-old daughter was not on our first trip to LEGOLAND California. Both children had a great day. The rides are perfect for their ages, and even visitors with a casual interest in the iconic bricks will be delighted and fascinated by LEGO sculptures throughout the park. Teens and adults will find no serious thrill rides at LEGOLAND. Most of the rides are built for guests of all ages, and some require adults to ride with young children. Some rides have minimum height requirements of 34-42 inches. However, even the roller coasters are tame by most theme park standards. My kids loved them. There is no good reason to pay full price at the gate for your tickets at LEGOLAND California! There are several easy ways to save money on tickets for your family. Several of them will also save you money on local hotels and other favorite Southern California attractions like Disneyland, SeaWorld and the San Diego Zoos. Want to know how? Download my minibook 4 Easy Ways to Save on LEGOLAND California tickets. It’s free when you subscribe to my email list. Despite Spring Break crowds, one day was enough to get our fill of LEGOLAND, but we didn’t have time to ride every ride or set foot inside either LEGOLAND Water Park or SEA LIFE Aquarium. The 1-Day pass we purchased included a visit to the aquarium, and allowed us to come back to only the aquarium the next day. The LEGOLAND Hotel is located next to the park’s front gate, and is like no other hotel you’ve ever seen. Imagine disco balls in the elevators, bunk beds in the rooms, and colorful LEGO play everywhere! During the busy seasons, the park officially opens at 10:00 a.m., but the turnstiles open at 9:00 a.m. and some of the rides open at 9:30 a.m. We arrived at the ticket window before 9:00, bought our tickets and walked into the park without waiting in line. Guests who arrived a couple of hours later were not so lucky. Here is a link to LEGOLAND California’s Opening Days and Hours calendar. Find out what time the park opens on the day you will be there. Why we arrive early – no lines! We had 30 minutes to browse the gift shop, which is the biggest and best in the park (see Tip #6), and then rode the Coastersaurus and Safari Trek while wait times were relatively low. If you are not near the front of a line at 9:55 a.m., walk directly to the back of the park and hit the headliners in Pirate Shores, where several water rides are located, or Castle Hill, or scurry to another of your top priority rides. You will not see shorter lines for the rest of the day. Who wants to carry a bag full of souvenirs around the park all day? Nobody, that’s who. Use LEGOLAND’s Package Pick-up service. The souvenirs you buy early in the day will be transported to the park exit for you to pick up before you leave. After the first hour, the long waits for major attractions were the only thing about LEGOLAND California Resort that disappointed me. The lines didn’t look so long, but they moved surprisingly slowly. I think that Disneyland could have moved twice as many people through the lines in the same amount of time. LEGOLAND California Resort does provide play areas full of LEGOS near the lines of their most popular rides so children can play while parents wait in line. They also provide pagers for some rides, so you don’t have to stand in line. Thank you, LEGOLAND. By lunchtime, I decided that I didn’t care how many rides we rode and I started enjoying the things that make LEGOLAND different from other theme parks. An area of the park we particularly enjoyed was Fun Town. There are no major rides in Fun Town, so it was less crowded, but completely charming. At the Fun Town Police and Fire Academy, families can compete against each other by moving their hand-powered fire trucks down a lane, shooting a target with water guns and powering back to the finish line. This was perhaps my favorite “ride” in the park. The LEGO Factory Tour and the Adventurer’s Club in Fun Town were interesting and creative walk through experiences. At the nearby LEGO Club, LEGO lovers can build with LEGOs and purchase bricks by the pound. My children also enjoyed the XBOX Family Game Space. My son loves playing LEGO video games at home, and in the Game Space he was able to try out games that we don’t own. We didn’t spend much time here, but it was a fun diversion while my husband held our place in the Chima 4D Movie X-Perience line next door. The 4D Movie was my son’s favorite part of LEGOLAND California Resort. If you’ve seen 4D movies at other parks, this will probably be similar, and of course, it’s an ad for the LEGO kits that are sold in the gift shop. However, it was the only high-priority attraction on my son’s list and he was not disappointed. There are also several playgrounds in the park where children can run and play freely. I wish we’d taken more time to enjoy these. One of the nicest parts of my day was relaxing at a patio table at the Garden Restaurant. This is a counter-service restaurant that offers fresh, healthy fare and great views of Miniland. Imagine the landmarks of Washington D.C., New York City, Las Vegas, San Francisco and New Orleans made of LEGOS. Nearby, you’ll find LEGO busts of George Washington, Abraham Lincoln, Queen Elizabeth II, William Shakespeare and other famous faces. Around the corner, every major planet from the Star Wars movies is depicted in LEGOS. As parents, we had to divide and conquer in Miniland. My son would not be torn away from examining the Star Wars worlds he knows well, while my daughter was fascinated by the cities. These are a LEGOLAND speciality. Apple fries are french-fry sliced apples, deep fried and tossed in cinnamon sugar. Vanilla whipped cream is provided for dipping. Find this sweet treat at Granny’s Apple Fries in Castle Hill. One order was not enough for our family of four, but two was plenty. Tip: Granny’s Apple Fries is located next to a castle-themed playground. This is your chance to take a snack break and let the kids play! This one is just for kids. Many LEGOLAND employees wear LEGO minifigures on their badges, and they will trade if you give them one of your minifigures. If you can’t assemble a minifigure from the LEGO pieces between your couch cushions at home, there is a shop where you can build custom minifigures just inside the entrance to LEGOLAND California. At most theme parks, riding as many rides as possible is usually my top priority. That’s what we paid for, right? The rides at LEGOLAND are fun, but I enjoyed our day a lot more when I allowed myself to experience the whole park, instead of just one aspect of it. We had hoped that this visit to LEGOLAND would be timed perfectly for the ages of our children, and it was. We had a fun day, and hope that these LEGOLAND tips will help you make the most of your visit to LEGOLAND! ANYTIME: Save $25 on any San Diego vacation package of 2 nights or more that includes 2 tickets (San Diego Zoo, SeaWorld, etc) when you use the coupon code SDFamily. Wait…what?! I don’t think I’ve ever seen the Lego polar bear in the Adventurer’s Club before! And I’ve been to Legoland A LOT. A LOT. A LOT. I am excited to see something new! Thanks so much, Allison. We are going to Legoland this summer so this article was perfect for us. that darth maul photo is AWESOME and enough to make me want to fly cross-country! We took our two girls who are ambivalent about Lego to Legoland a couple of years ago and had a fun day – we thought that MiniLand was the absolute best part – those miniature buildings are so cool! Great tips and so glad your family had a fantastic trip. Living near Legoland, I admit we’ve taken some of these attractions for granted. It’s wonderful to see them from someone else’s perspective. We haven’t seen Chima 4D Movie X-Perience yet. We can never get enough of Miniland, it’s most of the family members’ favorite. I’m going next week and can’t wait to try out the apple fries. These are just the kind of tips that I appreciate. Thanks! Thank you for the tips! We are starting to plan our legoland vacation & your helpful hints are going to steer us in the right direction! We will be there June 2014 with our 5 & 9 year old boys who cannot get enough playtime in the day with their Legos. Thanks Amy! I hope your family has a wonderful trip! Thank you for these tips. How gracious of you to share this worthwhile info for others. Thank you, Nancy. You’re so kind. 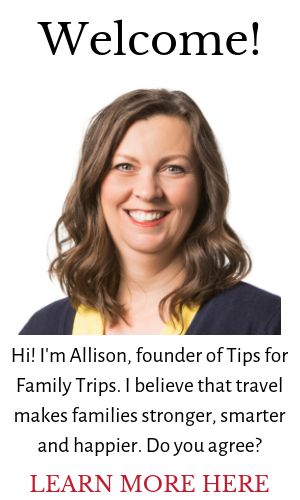 Thanks Allison, your tips are excellent. I’m going to LA with my 8 yr old son and he’ll turn 9 there. He is super LEGO fan and we live in Mexico so it’s not easy that we’ll return soon, now I’m wondering if it is worth to save one day and go to Legoland. Is one day enough? Can we see the Water park too? Is it too far away to go and return from Anaheim on the same day? I have hotel reservations in Anaheim, Disneyland, but I know Legoland will be the best for his 9th birthday. Thank you, Maika. LEGOLAND is about an hour from Anaheim by car, so it is reasonable to spend one day of your trip at LEGOLAND. One day was just enough for us to enjoy LEGOLAND on its own, without visiting the water park. I think that you could do both in one day, but it might be challenging to do everything you want to do in both. Is it worthwhile to sacrifice a Disneyland day for LEGOLAND? Some say yes and others say no. I know some kids who like LEGOLAND more than Disneyland. Other families – usually those who really love the Disney experience – think that LEGOLAND isn’t worth it. I think that both are great parks, and I’ll be happy to answer any questions as best I can to help you decide if it’s a good decision for your family. GRACIAS!!!! Thank you for your quick and kind response Allison. We’re definitely going to LEGOLAND, It’s not that far. And it won’t be a sacrifice either. We’ll have almost a week in Anaheim so we’ll spend his birthday in LEGOLAND!!! He’ll be thrilled. I was when I saw your photos… I’m going to look for the tickets online right now and for any options they might have to avoid the lines. Like that VIP bracelet you can get at Magic Kingdom. I hope I find something similar. Thanks a lot!! Felices vacaciones to you too!!! I’m sure you will have a great trip! Happy planning, and felices vacaciones! Have fun at LEGOLAND tomorrow, and thanks for the recommendation! Great post!! I’m planning to take my 5 year old son!! He’s been looking fwd to this about six months now!! We’re planning for end of May! Thanks for the tips much appreciated. Thanks for the info! Did you happen to have any advice for parking? I know you said the shuttle, but we wont be staying in those hotels nearby. Anything you may have to add would be fab! LEGOLAND has a large lot, so finding a parking space should be no problem. LEGOLAND parking is $15 per day. I hope it’s a very happy birthday! Enjoy your day! Hi Allison, my family is planning a trip to Legoland next week after our Disneyland trip. I found a buy 1 adult 1 day ticket get a free child ticket. Do you think I can upgrade the tickets to a 2 day ticket for $20 each even though the kid ticket is free? I would contact LEGOLAND directly with this question. When we used a similar coupon from LEGO Club Magazine, we were told at the gate that we could return a second day to visit ONLY the Aquarium, which was included in our ticket. I’m not sure if they will allow you to combine the upgrade and coupon for two days in LEGOLAND, but it never hurts to ask. How did this turn out? I am wondering with our family of 6 if we need more than 1 day. Thank you so much for the tips! We went to legoland for the first time last month and stayed at the west inn and suites like you recommended. First best hotel service ever! The 2 king size bed was perfect to accommodate our 5 girls. Breakfast was awesome! The milk n cookies at night were a real treat and the 5 minute shuttle ride to the park was convenient. Legoland does not have that mAny rides and the lines are ridiculous for a 2 minute ride but I’m glad I read your tips before going. I sat and enjoyed the scenery and Lego sculptures as you recommended and it really made my day. I appreciated what the park had to offer more than my rampage of trying to hit up every rides in a day like I was use to doing at amusement parks. Never will I do that again lol. Thank you thank you!!! It was relaxing and my kids had a great time! Your comment just made my day. I’m so glad you had a great LEGOLAND experience! Appreciate if you could recommend a nice hotel that is not pricey near Legoland. I have also stayed in the Hilton Garden Inn in Carlsbad and liked it. It is across the street from the beach and has a free shuttle to LEGOLAND. To find other hotels in your price range near LEGOLAND, try searching the cities of Carlsbad or Oceanside. There are many hotels to choose from in the area. + SEA LIFE + Water Park. Can we make it in 2 Days on July 4th and 5th Longweekend covering all three parks. Please advise. One full day was plenty for us in LEGOLAND and we spent about 2 hours at SEA LIFE. That leaves you most of your second day for the water park, which I haven’t yet visited. With the Premium Play Pass front-of-line privileges, I am guessing that 2 days would be enough time to visit all three attractions, even on a busy holiday weekend. Have fun! I found it extremely strange that you didn’t mention specific prices, which would obviously be the #1 consideration for many people/families…is that because you are getting compensation from Legoland or other hotels etc that ask you not to quote prices ? LEGOLAND has a complex pricing system, with multiple-day and multiple-attraction options for each age group. It just seemed simpler to include a link where readers could find updated pricing anytime. We do occasionally receive free or discounted admission to places we review, but when we do, we will always disclose it clearly in the post. We paid our own way to LEGOLAND, using LEGO Club Magazine coupons. Great tips, very insightful, we can’t wait to go this week! I wondered how to navigate the place and now I feel like I have the inside scoop! Thanks for sharing! Thanks, and have a great time! When I purchase a ticket to LEGOLAND does that include the water rides or are those separate? A few water rides and a water playground are included in the basic LEGOLAND ticket. They are located in Pirate Shores and range from slight splashers to soakers. These are separate from the water park, which will cost extra. Hi– thanks so much for this info. My big question is can you do Legoland in ONE day?? My son is beyond enthusiastic to go to Legoland. We live in NYC and we are actually traveling to LA for my husband’s work so accommodations and car are covered. BUT, the key question is one day… If we stay one day, we can drive back to LA and not pay the outrageously expensive Carslbad hotel prices for one night…. My son is 6 1/2. He just wants Chima waterpark and Legoland… He doesn’t even know about Sea World and other parks.. what do you think? One full day in LEGOLAND was just right for us, without the aquarium or water park. We returned to the aquarium the second day. We have not been to the water park. The entrance to the water park is inside LEGOLAND, so it would be easy enough to go back and forth between the two, but you would probably not be able to see all of both in one day. Wondering if Legoland checks bags? I read your tips about bringing food into the zoo. I was hoping I could at least stick a PB and J and some snacks in my bag for our three year old. Thanks for the tips. Great website! Thanks! Officially, backpacks are welcome, but outside food and drink are not. That said, I’ll bet that you won’t have any trouble getting drinks and food for your preschooler into the park. You can see my kids’ water bottles in several of the photos in this post, so obviously the park is not too persnickety about the rule. We went today, and I did not see anyone checking any backpacks/bags. We have a 7 yr and 1 yr to take care of, so packed plenty, and were just fine. Good to hear. Thanks so much for sharing your experience! Thank you so much Allison. We got a nice deal on Legoland website – Buy 1 day, get 4 days free, with resort-hopper (its on their website, but calling them reduced the ticket prices by further $10). We are going to spend 4 days over the Labor Day weekend there. Your tips will definitely help us in planning our experience. And I especially loved the advice “Don’t try to do all the rides, enjoy the experience”. Though I am sure we should be able to cover all (and then some) in 4 days. Yes, four days should be plenty of time to enjoy all the resort has to offer, and for a great price. Have a wonderful trip, and thank you for your comment! Wonderful tips and great pictures! Is San Diego airport the closest one in the area? Any tips on getting to the hotel from the airport? We are flying southwest. Also, do you have any comments or opinions on Legoland hotel? Thanks so much!! Thank you! The McClellan-Palomar airport is in Carlsbad, so that one is the closest to LEGOLAND. We drive to Southern California, so I don’t have personal experience with taxis or shuttles, but I’ve been told that a taxi from San Diego to Carlsbad can exceed $100. I know that both the hotels we have tried in Carlsbad had free shuttles to/from the McClellan-Palomar Airport and LEGOLAND, so others probably do too. I haven’t read all the responses so I’m not sure this was already mentioned. Legoland has SEVERAL options for gluten free dining. The food is really good (excellent, no. Just OK, no. Bad, no). It has been nice to repeatedly visit a theme park and not have to worry about food. That is a new tip here. Thanks for sharing! This will be helpful for families with celiac and other dietary needs. Thanks for this! We are locals but going for the first time (all 6 of us) in Mid December. Signed up the 2 youngest kids for the magazine to get their tickets free!! Thanks for that!! Thanks for the advice. We have the buy and adult ticket, get a kids ticket free coupons, but can’t figure out where to enter then codes online? Are these coupons you have to use at the ticket booth onsite? Sorry for the delay! We used our coupon at the ticket booth. I have not tried to redeem online. We arrived early and did not have to wait in line to purchase. How is it for babies? I have a 4 year old and a 15 month old. Are there things for the 15 month old to do? My kids were older, but I believe that LEGOLAND has more for toddlers than most theme parks. There are a couple of DUPLO-themed play areas, which are intended for younger children. There are bigger playgrounds and splash pads too, but they could be crowded with older children. There are a few rides including a fairy-tale themed boat ride and the boat ride through MiniLand that have no height requirement. There are some fun walk-through experiences like the Adventurer’s Club where you could let a young child explore on his/her own. The 4-D movies are open to all. MiniLand and the LEGO sculptures around the park are sturdy and are fun to see and touch, no matter how old you are. For more information, check out the park’s interactive map (http://california.legoland.com/en/explore/) and click on the arrow next to “Rides, Shows and More!” You can view all the attractions by height requirement. Happy planning! Allison – thanks for the tips. We have the child gets in free when you purchase an adult ticket coupon. I don’t see where I can enter the code online. Am I overlooking it or do I have to purchase tickets at the gate? Thank you! We purchased our tickets at the gate. On our latest LEGO Club Magazine coupon, it reads, “Offer cannot be applied to pre-purchased discounted tickets…” so the gate may be the only option for this deal. Have fun! Knight’s tournament is a ride that is definitely hair raising for adults. It’s amazing. they have multiple levels and you can ramp it up for adults. Thanks for the tip! I remember this ride, but we didn’t try it ourselves. I’ve always wanted to take my daughter here. I was worried that at 10, she’d be too old, but based on your comments, its seems she’d have a ball. Thanks for the great tips. Those are some great tips! I don’t know if we’ll ever visit the Legoland, but if we do, I’ll make sure to remember the tip about using coupons from the magazines. Thanks for compiling such a great list! So in order to use the Lego mag coupons you have to buy at the door right? Do u have to get there right when it opens? Do they only let a certain number of people in per day? Unless there is a code or other online instructions, coupons need to be used at the gate. That’s what we did a couple of years ago. You do not need to be there right when the park opens, but you’ll spend less time in line if you do. I don’t think that they limit the number of coupon guests per day, unless it says so on the coupon. I’d be surprised if it did. We will be visiting California next month. How is Legoland for a 12 year old? He just turned 12, but he still loves Legos. Thank so much in advance! I think that LEGO lovers of any age will love LEGOLAND, as long as they know what to expect. Have a great time! Granny’s Apple Fries a bust………I looked so forward to this but it is NOT a treat. Limp apple fritters just like limp french fries are nothing enjoyable. Maybe if they would not sit around so long? I’m sorry they weren’t very good when you were there! I’m surprised that they had time to sit. The line for apple fries was long during our visit, so ours were pretty fresh. Hello. My name is Lissa, I am looking to meet someone that would like to go to Legoland. Thank you for the tips! I’m starting to plan our first visit in the fall and I will keep all of this in mind. Already signed up for the magazine to get the coupons! Absolutely! Many of the rides are built for riders of all ages. this resort is looking awesome. statue of this resort are looking awesome and these are looking awesome. Using Google Translate, I hope this will answer your question. You can bring your own food and drinks into the park in a day pack. You can purchase many types of food inside the park,such as sandwiches, pizza, pasta, hamburgers, Asian, etc. El uso de Google Translate , espero que esto será responder a su pregunta . Usted puede llevar su propia comida y bebidas en el parque en una mochila . Usted puede comprar muchos tipos de alimentos dentro del parque , como sándwiches , pizza, pasta , hamburguesas, Asia , etc. Thank you so much for all these great tips! Your pictures are great ! It seems a great and original experience for kids. Thank you for telling me about this because that isn’t supposed to happen. It frustrates me too. I will contact my ad provider about it. You had such an amazing trip with your family, I’m so envy. I will visit LEGOLAND together with my friends because we love to explore new places. Thanks to your article we already have a guide.